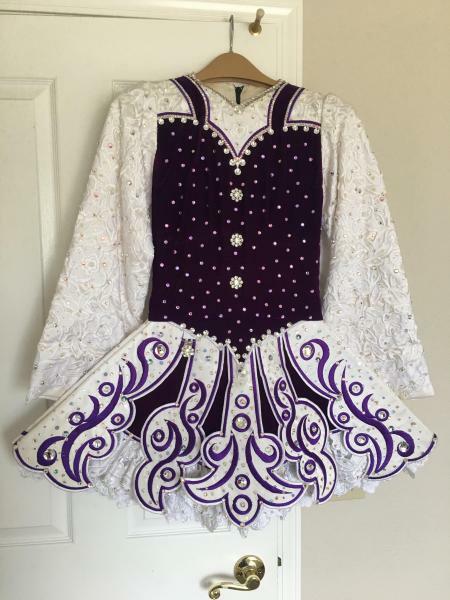 dance.net - Gorgeous purple Gavin- Need to sell (10246485) - Read article: Ballet, Jazz, Modern, Hip Hop, Tap, Irish, Disco, Twirling, Cheer: Photos, Chat, Games, Jobs, Events! 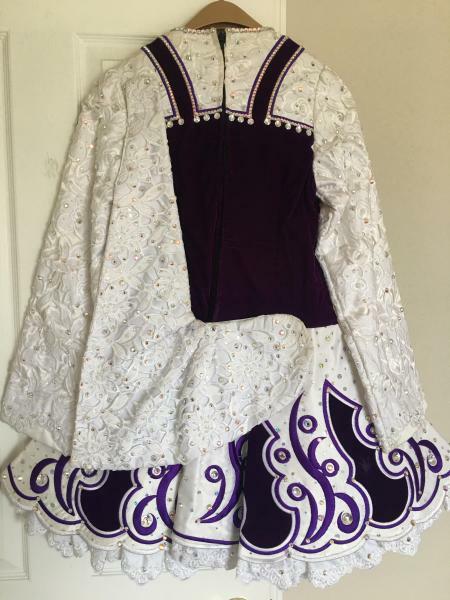 Beautiful purple Gavin Doherty solo dress for sale! In excellent condition! Purple velvet bodice with white lace sleeves and a 5 panel skirt. Bodice is covered in lilac Swarovski crystals. Dress covered in crystal AB, and special spotlight Swarovski crystals. The back has a white lace shawl. This dress is beautiful on stage and has a wonderful fit and movement. Comes with rhinestoned purple headband and purple cotton kick-pants. 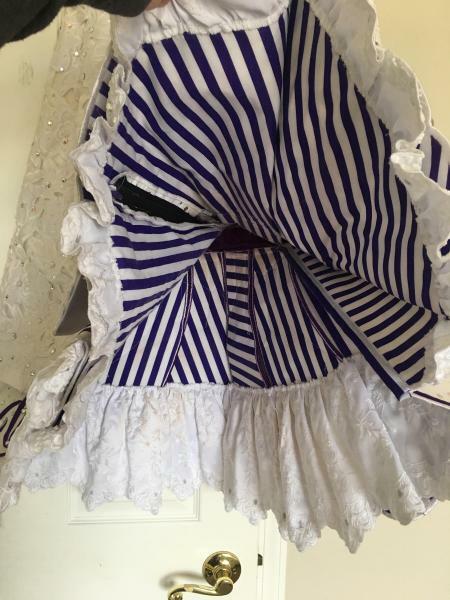 Underskirt is white and purple stripe. Asking $400. Buyer pays shipping. Can ship ASAP. Need to sell.